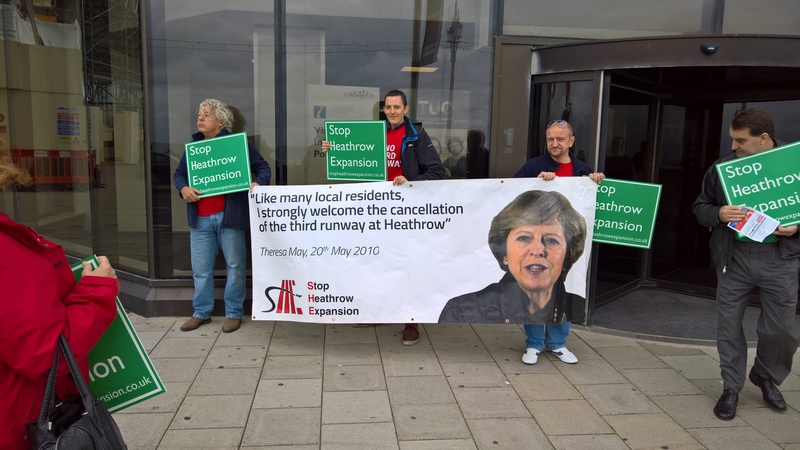 Feb 2015 – Last week saw the culmination of the Airports Commission Consultation in to expansion at Heathrow Airport and with it increased activity from those who oppose construction of the Third Runway. A table was set up to the right with the heads of the two expansion proposals, John Holland-Kaye (CEO of Heathrow Airport) and Captain Jock Lowe (Heathrow Hub Ltd) answering questions from both the speakers and the floor. After clearing security, I was ushered in to the hall where the local authority leaders were putting their presentations. I had just missed our own council leader, Ray Puddifoot, making his speech and arrived as Cllr Carwyn Cox of The Royal Borough of Windsor & Maidenhead started his presentation. He pointed out a number of issues, including the new flightpath trials recently that had increased noise in his borough, excess of Nitrogen Dioxide already around Jct 13 of the M25 with two runways, the overcrowded state of the existing road networks, flooding issues that would get worse with more construction (Who can forget the pictures from last winter of Datchet, Wraysbury and Old Windsor under water?) and the implications for both housing and schools. Next up was Cllr Julian Bell, leader of Ealing Council – He concentrated on jobs, quoting 30% of Southall and 8-9% of Northolt residents depending on the airport for work and his fears that many businesses would relocate to other EU countries without some form of expansion. His solution was ‘Heathwick’ – Moving point to point flights to Gatwick, freeing up slots at Heathrow for the long distance ‘hub’ duties. He also spoke of his concerns around overloaded roads in the area, new flightpath details and a ban on night flights. He stated that he was glad to see the end of the Estuary Airport proposal. In my opinion, his ‘Heathwick’ proposal is deeply flawed and by his own admission on the stage a lot of the people in his area are transient workers, so will not have to live with the decisions of the commission for generations to come. He appears to have bought in to the ‘fear factor’ peddled by the likes of Heathrow Airport’s propaganda operation, Back Heathrow. Sir Howard then summarised some of the discussion and pointed out that the new flightpaths are an issue for the CAA (Civil Aviation Authority) and NATS (National Air Traffic Services), whilst he is aware of the issues around flooding and is looking at proposals for extra mitigation and funding. John Holland-Kaye responded that this would be an opportunity to help ‘make things better’ around the flooding issues, whilst Heathrow Airport Ltd would respond in the New Year regarding additional funding for schools and noise insulation. Jock Lowe pointed out that the Heathrow Hub proposal is cheaper, and therefore more funding would be available for improvements to infrastructure and to mitigate noise and flooding. Neither presenter gave any clear indication of what would be done and how much would be spent. In terms of noise, the ‘steeper approach angle’ for aircraft coming in to land was again mentioned as a way of eliminating noise in certain areas. This old chestnut is often rolled out, and neglects to mention that a plane coming in steeper needs to decelerate more quickly before touchdown, requiring more reverse thrust and flap, creating more noise. It may mitigate some areas of the flightpath further out, but would increase noise in areas near the runway when the aircraft is at a lower level on final approach. It would also put more stress on airframes, meaning more expensive maintenance for the airlines which I am sure would not be welcomed. 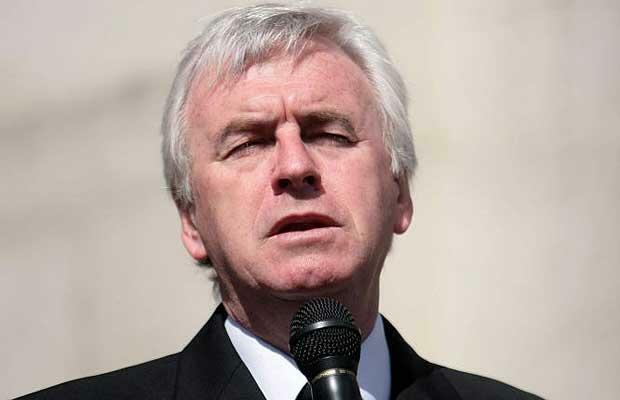 He then tried to back up this claim by saying that in the near future the noisier 747’s would be replaced with quieter 787 and Airbus A350 aircraft, although whether his crystal ball can see in to what the airlines are planning when he has no authority over their operational decisions has yet to be seen. At this point, the issue of housing was touched upon. Current plans would see between 700-800 properties demolished when we already have a housing crisis in Hillingdon. 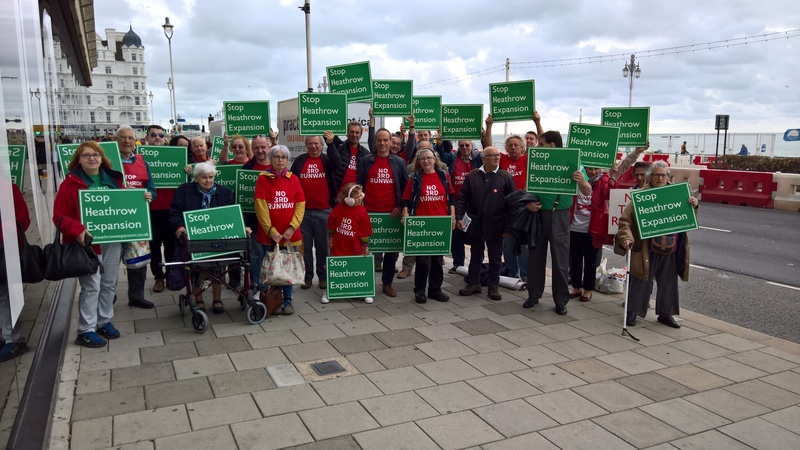 Furthermore, the increase in jobs that both proposals claim would mean a requirement for thousands of new homes to be created in the area to house those workers. Mr Holland-Kaye admitted that housing ‘has not come up’ during their meetings! 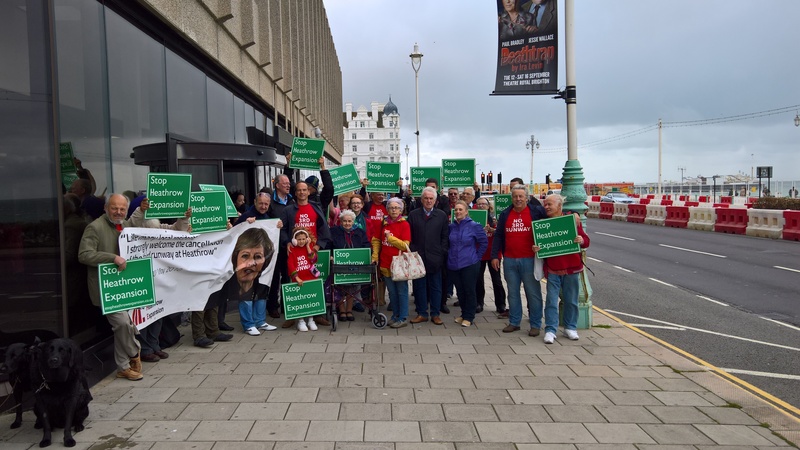 The response to the concerns about our already creaking road and rail networks in the area was also answered unsatisfactorily – There was talk of three times as many seats on trains and an enlarged coach station, again without any idea of who would be providing this and where the money would be coming from. Later on in the day, there was talk of both a Piccadilly Line and Crossrail upgrade and both proposals support access from Southern Rail, although they say it is not vital to the plan. With both Crossrail and the Piccadilly line being supported from the public purse, you have to ask where the money is coming from when all of the old establishment political parties are telling us that further cuts to public spending are needed to ‘balance the books’. 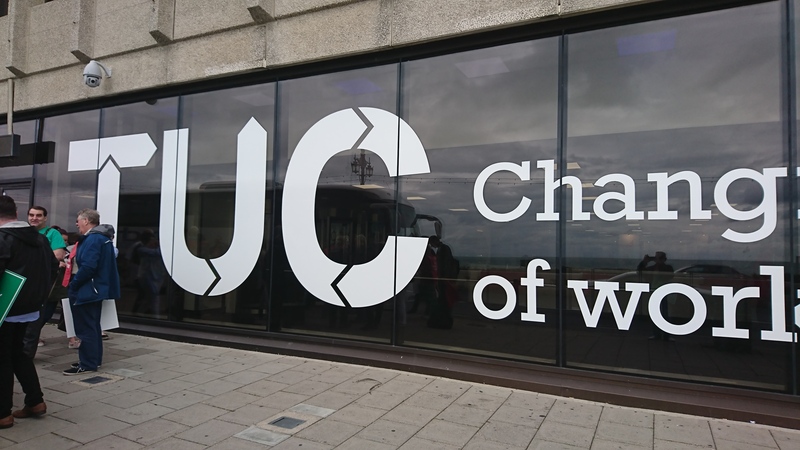 There is also a proposition on the table for ‘congestion charging’ around the airport, which would hit airport workers and residents alike – Mr Holland-Kaye responded that this would only be an ‘emergency step’ if needed. The final section of the day saw three local business spokesmen state their support for the project – Steve Capel-Davis of Thames Valley LEP, Frank Wingate of West London Business and Geoff French of Enterprise M3 LEP which covers Spelthorne and Hampshire. They trotted out a series of statistics and predictions – Mr Capel-Davies spoke of 202 of the top 300 UK companies being within 25 miles of Heathrow and of 1 in 20 jobs in his area being supported by it, that 40% of the turnover in his area is from foreign owned businesses and that they have the highest proportion of foreign firms of all 39 development areas across the country and his fears that they would relocate without expansion. Mr Wingate claimed that his members support Heathrow expansion ‘with conditions’ by a two thirds majority across the six council areas they cover. 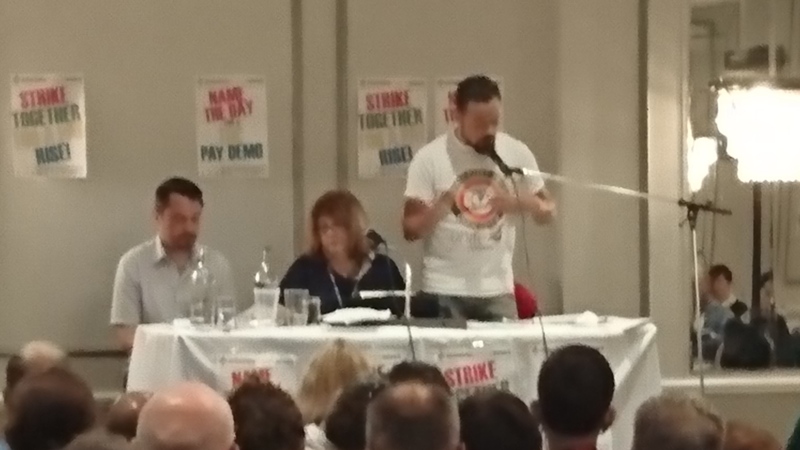 He pointed out that West London is second only to the City in terms of money created in the UK (Citing a figure of £37 billion per year), and that of the 40% of freight that goes by air in his patch, two thirds is from Heathrow. Sir Howard again summarised, and asked a quite pertinent question of his own. Mr Wingate wants expansion so the industrial parks in West London can ship more air freight – Sir Howard queried how the road expansion from a very congested part of our surrounding area would be managed to cope with this expansion? The response was that we should ‘look at strategic road development’ and possibly arrange multiple freight pick ups from more than one business at a time. Having been a resident of West London for my whole life and having seen the massive increase in both traffic and buildings in the area, it would be well nigh impossible to put a major new road through from the likes of Park Royal to Heathrow without massive disruption and dislocation of both businesses and residents. You would also have to factor in the additional congestion that the construction phase would put on already overcrowded traffic arteries such as the A40 and M4, whilst compulsory purchase of land in an area with already high prices would probably render such a project financially impossible. Jock Lowe came up with an alternative at this stage – Why not only carry high value goods in the hold of passenger aircraft at Heathrow, whilst diverting the rest to freighters that can go to other airports to spread the load? After the business leaders gave their pitch, questions were invited from the floor. 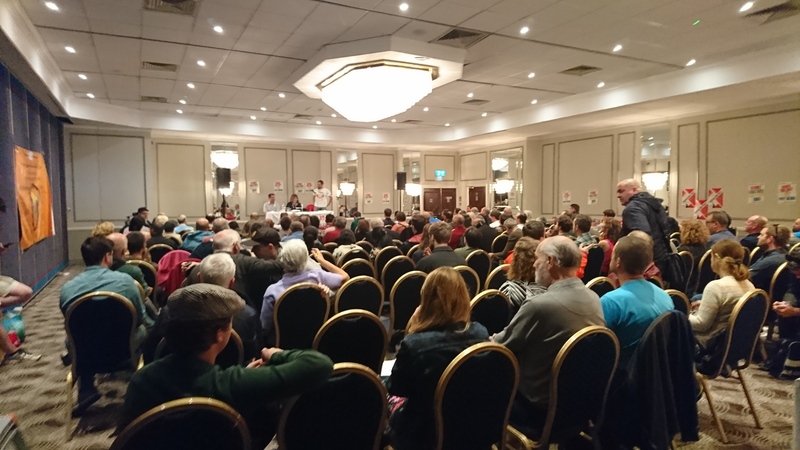 It was obvious that ‘Back Heathrow’ had got as many of their much vaunted support in to the venue as they could, with some rambling monologues from the floor. 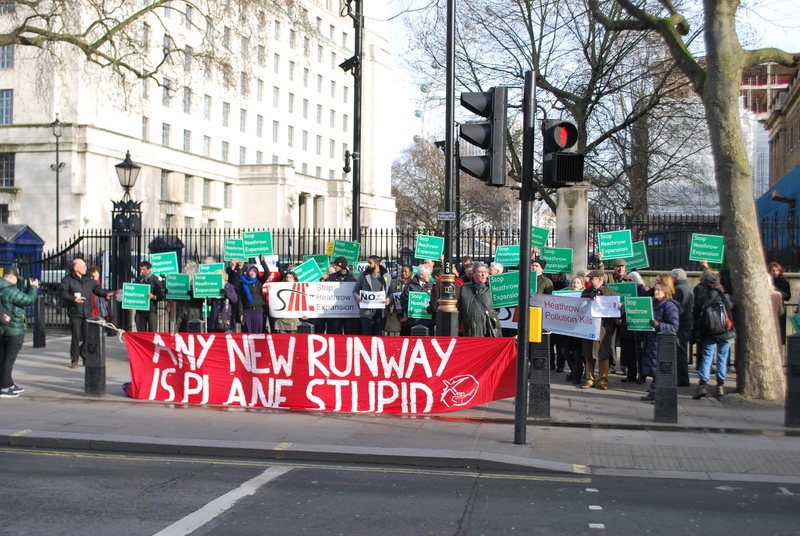 There were some passionate responses from the anti-third runway attendees – Neil Keveren, Chairman of SHE (Stop Heathrow Expansion) moved to the front and demanded that the proposers of expansion at the top table ‘looked him in the eye’ when they spoke of demolition of his home and area to make way for their plans. Bryan Tomlinson provoked some mirth when he stated that The Monster Raving Loony Party had recently backed Heathrow Expansion and they know lunacy when they see it. For my part, I directed my main response at Frank Wingate – He had said that the businesses he represents want easier access to the cities overseas they do business with. I pointed out that what he was describing is known as ‘point to point’ flight, not ‘hub’ traffic, which is what the Commission is supposed to be looking in to, to which he shook his head. I followed up with my experience working for multi-national distribution businesses – We do far more business via internet and telephone than by flying anywhere because it is far cheaper and more instant. We can videoconference anywhere in the world at a flick of a switch where the technology is live rather than having to sit 12 hours in a plane and get off jetlagged. He had quoted the amount of freight flying from Germany to China as being six times more than from the UK, but I pointed out that the Germans are still predominantly a manufacturing economy whereas in the UK we are more geared towards services, finance and high tech industries such as software and computing – Business sectors that would be better served by investment in to a proper overhaul of our landline and mobile communications networks, which lag behind our foreign competitors in many cases in terms of speed and reliability. Finally, I got on to the subject of the freight traffic that Jock Lowe had mentioned – With freighter aircraft tending to be converted older passenger models, I pointed out that the airport best able to deal with this whilst mitigating the noise factor would be the recently closed Manston Airport in Kent. Manston could be re-opened quickly and easily, has a runway long enough to handle the bigger aircraft and has a glide path over the Channel which means less noise and pollution over populated areas.It would provide much needed jobs and investment in an area crying out for them whilst freeing up slots at Heathrow for the kind of hub traffic that the airport claims to want. Furthermore, relatively small upgrades to surrounding infrastructure (Including a link to the HS1 Channel Tunnel railway line) would enable Manston to operate in a support role for passenger aircraft with transfer times in to St Pancras of approximately 40 minutes. With this section of the afternoon drawing to a close, Sir Howard then gave a short summing up at the end and I awaited some friends outside before retiring to the pub to discuss the day’s events. Whilst waiting, Mr Holland-Kaye approached me and shook my hand, thanking me for my input which I thought was fairly decent of him considering some of the criticism that I had aired from the floor. With pint in hand afterwards, I was made aware of one of the speeches from Zac Goldsmith MP during the morning sessions that made a number of very good points. 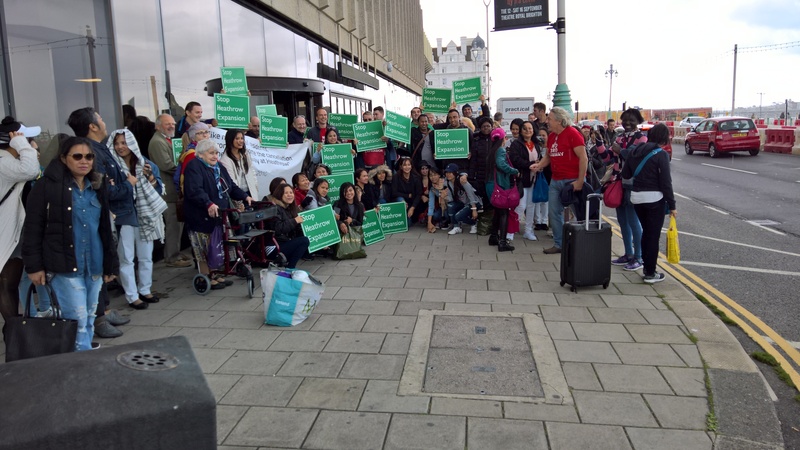 You have paid fortunes to Back Heathrow –a bogus community group – even though you have publicly stated that you disagree with its message; expand or wither away. Essentially you have been funding the dissemination of material you know to be misleading. Worse, this campaign, which you fund, has targeted elected representatives like the leader of Hillingdon Council in the run up to the local elections. You are vast, foreign-owned corporation, and you have sought to pervert the democratic outcome. I’d like to hear you publicly defend that, and to know how much you have spent on your PR blitz. For the record, I understand why Heathrow is waging this campaign – you want the public to fork out vast subsidies to facilitate a near-monopoly, which you will own. But I dread to think what strings you are pulling behind the scenes, with your privileged access to the corridors of power. 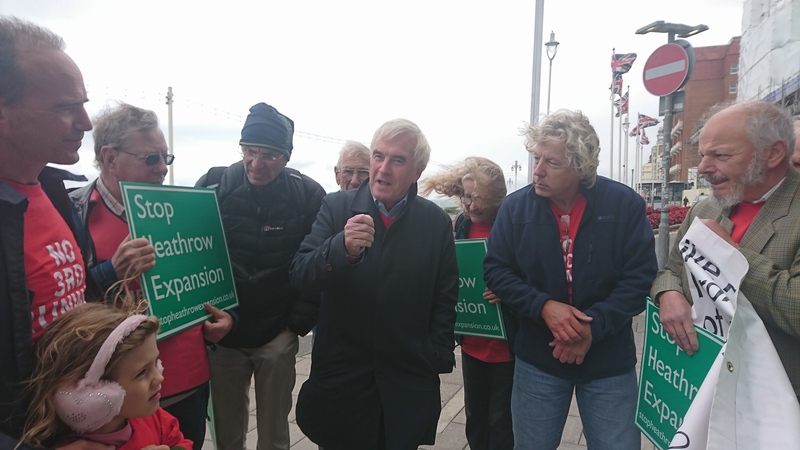 For my part, I do not advocate closure of Heathrow. My view is that it should not expand, and I will explain why. The case for a centralised mega-hub is evaporating, not least because travel is changing; transfer traffic across Europe has been declining for years due to advances in technology and the rise of low cost carriers, while point-to-point trips are increasing. Across London, only 14% of passengers are transfer passengers, a figure that is expected to fall as more use is made of middle-eastern hubs like Dubai. In addition, according to the DfT, business flights at Heathrow have been decreasing. In 2000, the percentage of business passengers was 38%, in 2005 it was 35% but by 2010 it was down to 30%. There is no sense that any of these trends will change. For example we are told there will be a nine- fold increase at London airports in the next decade of new, smaller, and more fuel-efficient aircraft, capable of flying direct to long-haul destinations. Clearly this will have a significant impact on the way that airports are used in the future. The alternative to cobbling back together a vast foreign-owned monopoly on one edge of our giant city, is to facilitate a super-competitive network, with our three main airports competing properly for customers. Above all that means investing in better surface links. Like in most sectors, competition encourages innovation, adaptation to new technologies, choice and a better deal for customers. Who would pretend that Gatwick hasn’t become a significantly better airport since it was liberated from the old monopoly? That’s why the Competition Commission recommended that the former BAA monopoly should be broken up. 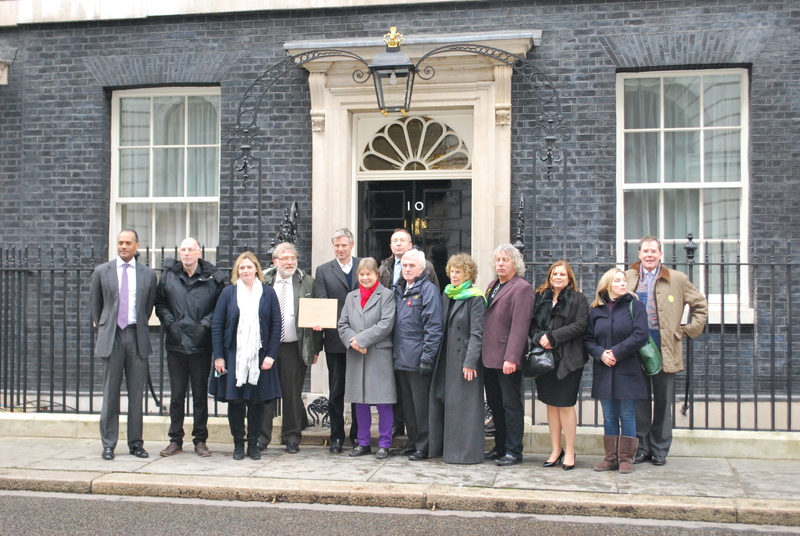 An expanded Heathrow would represent a step backwards, a telegram solution in an internet age. It would enable Heathrow to cherry pick the most valuable passengers. Its disadvantaged competitors would struggle, and the effect could be a net decrease in capacity, as well as Heathrow itself reaching capacity sooner than anticipated. For my part, I am not convinced by the case for expansion anywhere, although I do not pretend to be an expert of predict and supply – but whatever solution is sought, it should surely maximise, not suffocate competition. It’s worth pointing out, in response to Heathrow’s scare stories that London is already well connected and well serviced. London has 6 airports and 7 runways- more than any of its European rivals. Heathrow has more flights to business destinations than any other airport in Europe; more than the combined total of Charles de Gaulle and Frankfurt. If you look at Heathrow’s connectivity to China’s most important cities, ranked by GDP, Heathrow has vastly more. More passengers fly in and out of London than any other city in the world. We’re told that we need a mega hub to maintain routes to low-demand destinations, but that’s not what’s happening. For example New York is one of Heathrow’s most frequent routes. But 29% of passengers to New York are transfer passengers whose contribution to our economy is negligible. Is anyone suggesting those passengers are necessary to keep the New York route open? I believe most of Heathrow’s transfers are on the most popular routes, which would obviously therefore survive without transfers. Providing passengers with more direct routes and reducing transfers could free up 30m additional passenger places per year at Heathrow. I have no doubt that if anyone bothered to ask passengers, they’d say they overwhelmingly prefer point-to point flights. I want to look at the costs of Heathrow expansion.The airports Commission has reported that Heathrow massively underestimated the costings around expansion. As it happens, I believe the Commission itself has too, particularly in relation to surface transport. Given that Heathrow’s CEO has admitted a successful third runway could necessitate a fourth, these considerations are even more important. The third runway as proposed by the last Labour Govt would have led to an additional 25 million new road passenger journeys per year. How on earth can our already over-congested roads cope with this extra traffic? In the medium term, during construction, how can Heathrow divert the M25 & A4 and carry out works to other minor roads, within the same time period without causing impossible traffic disruption for years? What is the cost of that disruption to the economy? Has it even been assessed? Is it right for the public to pay for all this twice; for the actual improvements, and then through a substantial congestion charge to limit the damage to West London’s economy? I don’t know if the Airport Commission has assessed the transport implications of a Third Runway on the roads in the vicinity of Heathrow, on local roads in adjacent boroughs, but if not, it’s hard to see how the process can be meaningful, and I urge the AC to commission TFL, who are uniquely placed to examine the issue, to do that work. Then there is the cost of Noise. Heathrow already has a bigger impact on people’s quality of life, by many multiples, than any other airport in Europe. Heathrow airport, by a huge margin, is the largest noise polluter in Europe. It already affects over 750,000 people. No other country in Europe allows this. The “next worst” airport in Europe affects less than one third of Heathrow’s total. Schipol, the airport much quoted as Heathrow’s hub competitor, affects sixteen times fewer people. The WHO has long been very clear about the dangers of this level of noise: aggressive behaviours, stress hormones, high blood pressure levels, antisocial behaviour, hindering child development and so on. I note that Heathrow has proposed various methods for reducing noise, for example steeper approaches and concentrated flightpaths, and these may have a marginal impact. But if Heathrow wants people to believe that an increase from 480,000 flights to 740,000 will lead to a reduction of noise, then I suggest the rest of their pitch needs to be taken with a generous pinch of salt. It is worth pointing out that there was nothing stopping the airport bringing in these changes in the years gone by, and I’m interested to know why they are linked only to the prospect of a third runway. I also want to point out some figures in Heathrow’s and Airport Commission’s National Noise Assessment, which suggest that the North West runway, while potentially removing 250k from the noise contour, would bring a fresh 320k into the noise contours. These are people who have never had to experience what my constituents have had to experience. I’d like to know what weight should be attached to those people who are yet to be affected. There is a dishonesty in this debate. We are discussing a third runway, but we know that a successful third runway will give rise to a fourth runway. Heathrow’s CEO has said so himself. Even more importantly, there is no clear information on proposed new flightpaths. There are hundreds of thousands of people whose lives will be turned upside down, but who know absolutely nothing of it. This is simply not acceptable in a democracy. 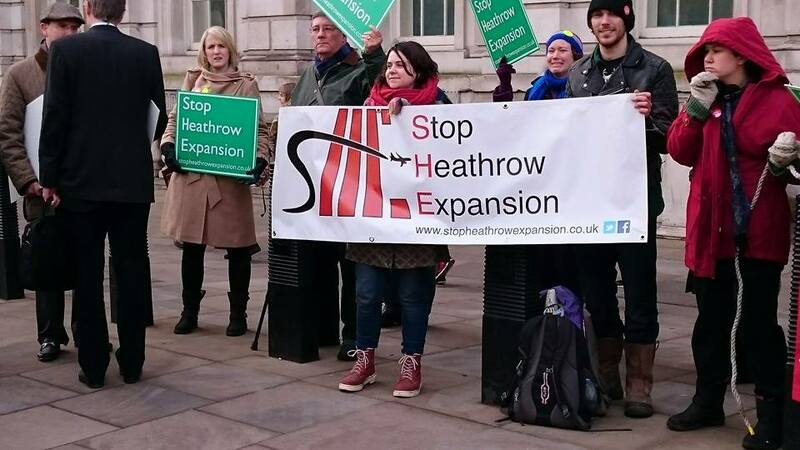 I must say that even while Heathrow will attempt to downplay that information, the campaign against Heathrow expansion will make sure they are given it. And the campaign we saw last time around, which was the biggest such campaign anywhere in the world, will appear trivial next to the campaign you can expect if a green light is given to expansion. Thankfully we do live in a democracy. Governments can make grand promises, but they cannot deliver them without consent. A third runway might be possible in tyrannical regimes, but no one who understands the politics of all this believes it can be delivered here. With the future of commercial aviation in England now in the spotlight, many options are being put forward by government advisors and various think tanks as to how our country can remain at the forefront of this expanding business. The Third Runway? This will mean destroying an entire community in Sipson and the Heathrow Villages, bring more noise and pollution to an area that already has some of the worst air quality in the country and will pile extra pressure on transport links that struggle to keep up with the volumes of traffic and travellers already put upon them. Boris Island? Massively expensive, sat in the middle of a main air corridor (The equivalent of putting a bus stop on a motorway), positioned next to a nature reserve so prone to bird strike on vulnerable aircraft engines and will require major development of transport links. 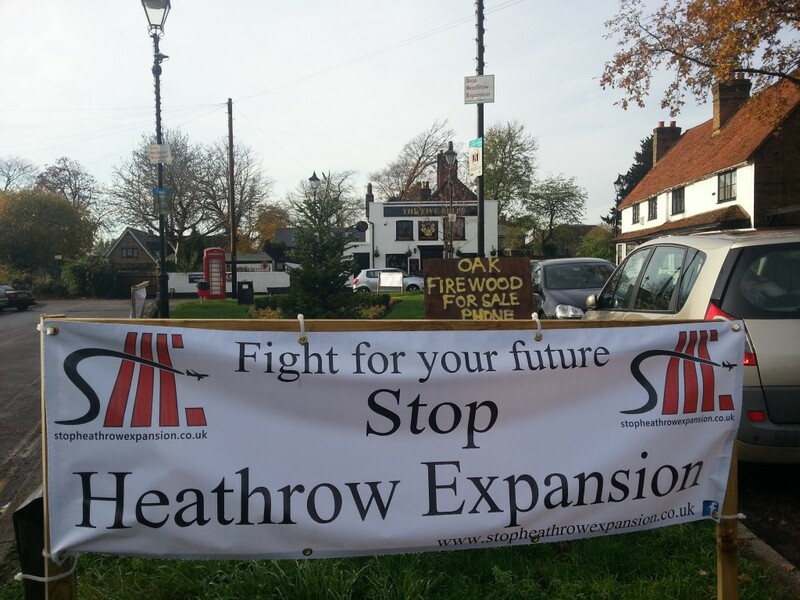 Activation would also see the closure of Heathrow and a huge knock on effect to local businesses and jobs in Hillingdon. West London four runway hub? 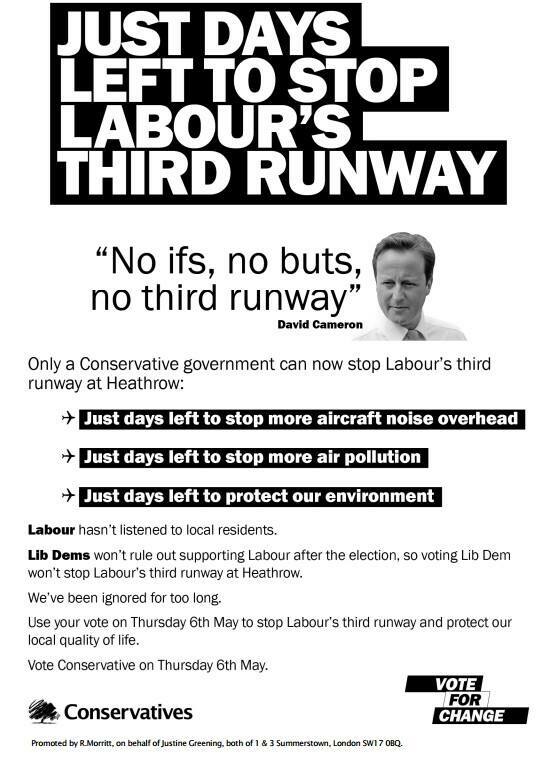 Same issues as the third runway at Heathrow, just substitute destruction of different communities. Gatwick or Stansted? 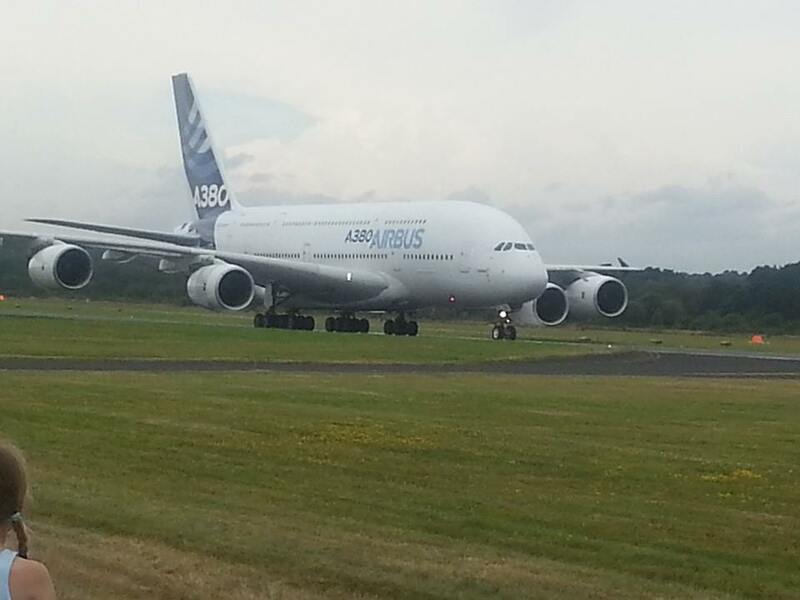 Substantial construction works required, inadequate links and runways too short for the largest aircraft. So, to remain competitive but limit damage to communities and the environment, what is the answer? Firstly, look at the ‘Grandfather rights’ granted to airlines on slots at Heathrow and how some of the airlines fill them with empty aircraft just to deny airspace to their rivals. Secondly, the perfect ‘third runway’ already exists at Manston in Kent which is a designated divert airfield for Heathrow in case of emergency and can handle the largest of aircraft. Manston is an existing commercial airport which can easily be linked to the HS1 railway and the Channel Tunnel providing fast access to both the continent and Central London and is close to road links from the major ports in Kent. For a fraction of the cost of the other options, Manston can be converted in to a main hub airport to complement Heathrow and provide capacity for the 21st century. UKIP oppose expansion at Heathrow via a third runway and will be campaigning to support a referendum amongst the communities affected to give them their say on how this issue is resolved. We will also lobby for the common sense solutions that we are putting forward to provide affordable answers to our country’s air transport requirements.